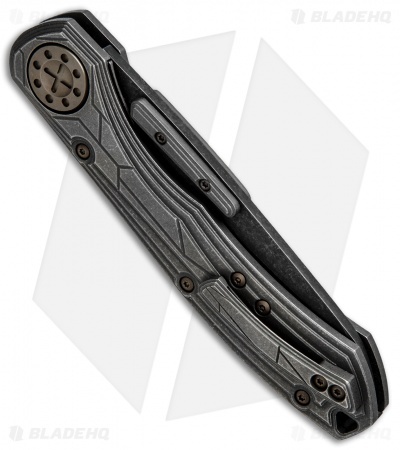 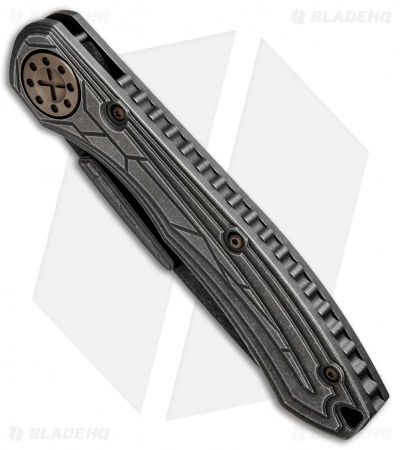 This Curtiss 561 Folder features a titanium handle with a unique stepped pattern, bronzed titanium hardware, and a notched backspacer. 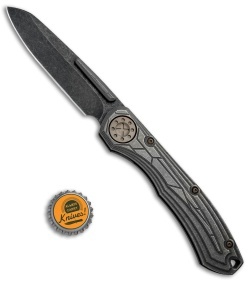 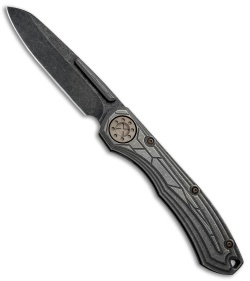 The blade is made from CTS-XHP stainless steel with a black stonewashed finish and stylized, elongated thumb studs. It comes fitted with a matching tip-up titanium pocket clip.